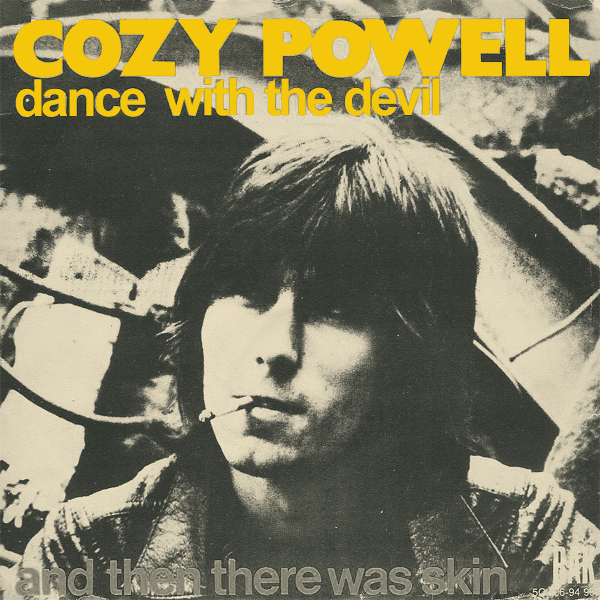 Dance With The Devil, is what Cozy Powell tells us that we should be doing. On the original single front cover artwork, Mr Powell helps us visualize this by smoking a cigarette in black and white. On the remix we find a devil who is dancing, tempting us to join in. Beware though, because it's know that dancing with the devil can lead to boogieing with Beelzebub and you wouldn't want that now would you? Lucifer!